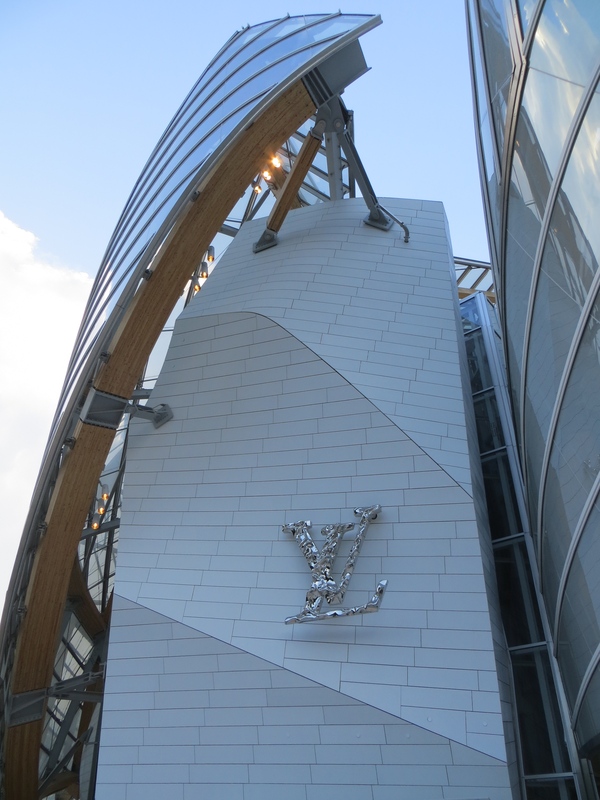 On visiting the Fondation Louis Vuitton, Drouot Auction House and Museé Marmottan. I love the Louvre, I really do. And I’ve been. I’ve seen the Mona Lisa. I’ve battled the crowds. I held my camera in the air, over their heads, trying to take a photo. If it is your first time in Paris, go to the Louvre. I’ve been lucky enough to visit Paris a few times (thank you, Francophile parents), so I try to seek out new museums whenever I return. 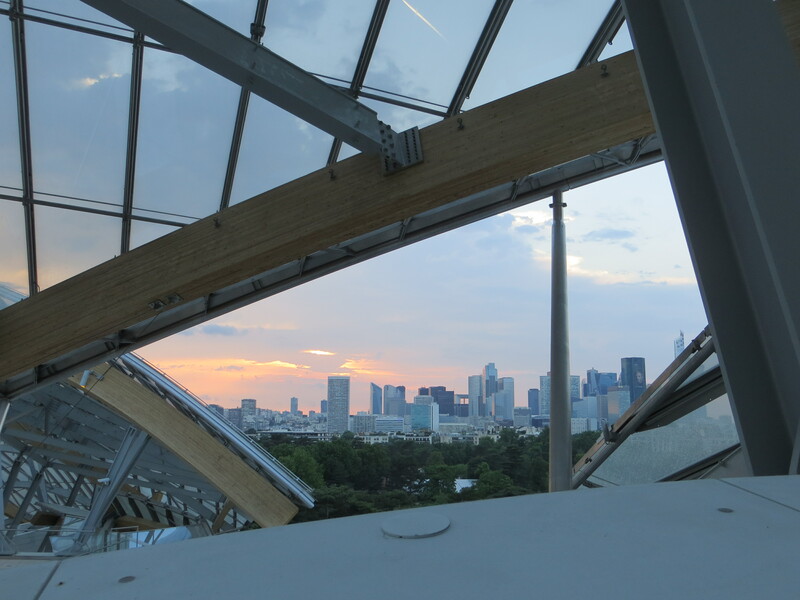 This time in Paris I visited three new places, beginning with the much-talked about Fondation Louis Vuitton in the Bois de Boulogne. 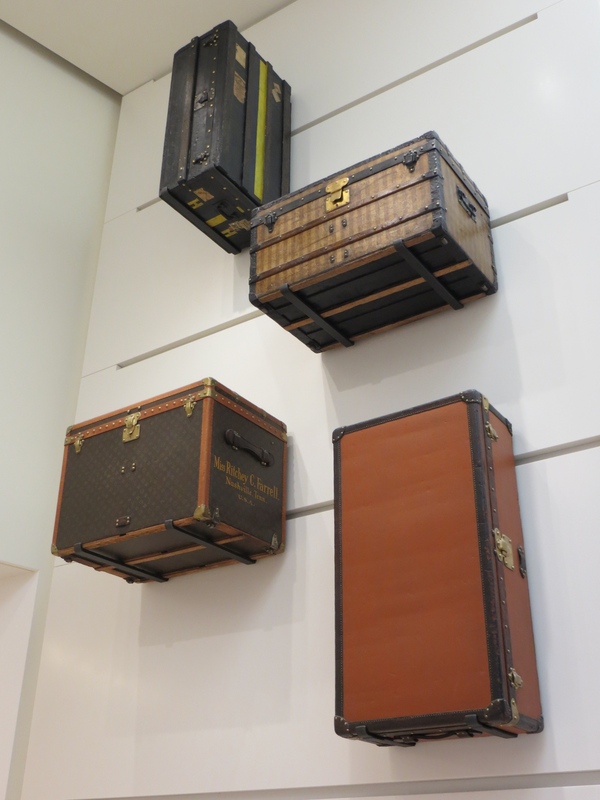 To set the record straight, this is not a purse museum. The only “LV”s I saw in the building were in the gift shop. 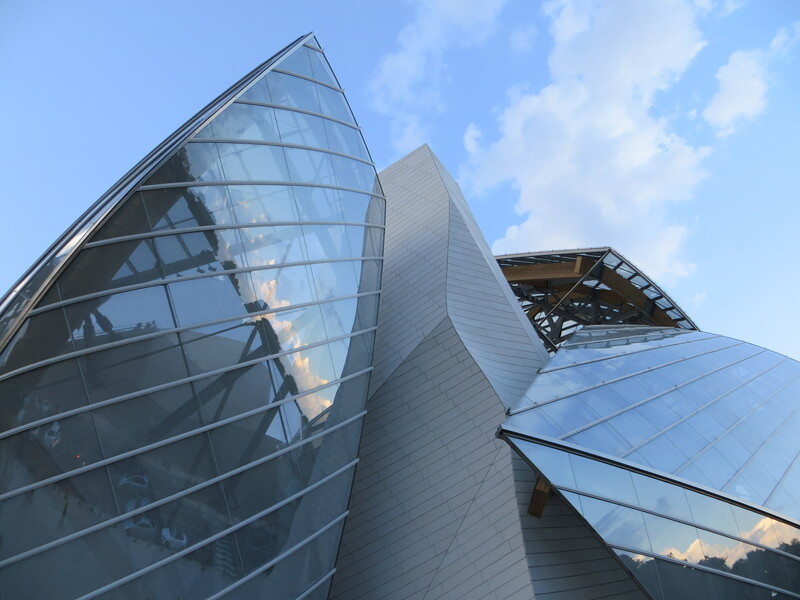 The incredible, Frank Gehry-designed museum opened just months ago and the building itself is a work of art–especially to an architecture nerd like myself. The museum has been massively popular, so my husband and I visited at 8pm on a Friday night. We found it nearly empty and caught a gorgeous sunset from the roof. 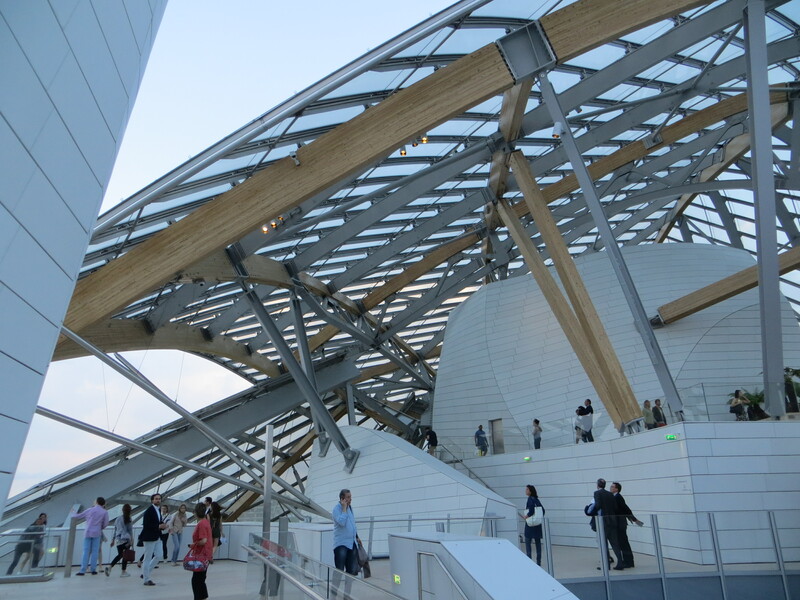 (Advice: Book your tickets online and take the €1 museum shuttle from the Arc de Triomphe). 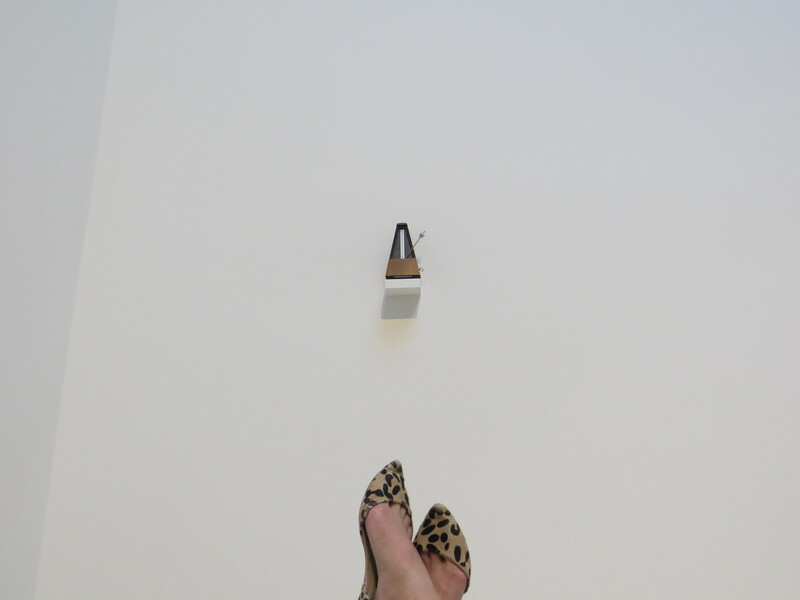 The permanent collection is super modern and kooky. Many exhibits are interactive and blatantly shocking, so I did my best to silence any sarcastic voices in my head that said “this is art? !” to really take in the experience. It worked. I loved it. It was unlike anything I’ve seen before. 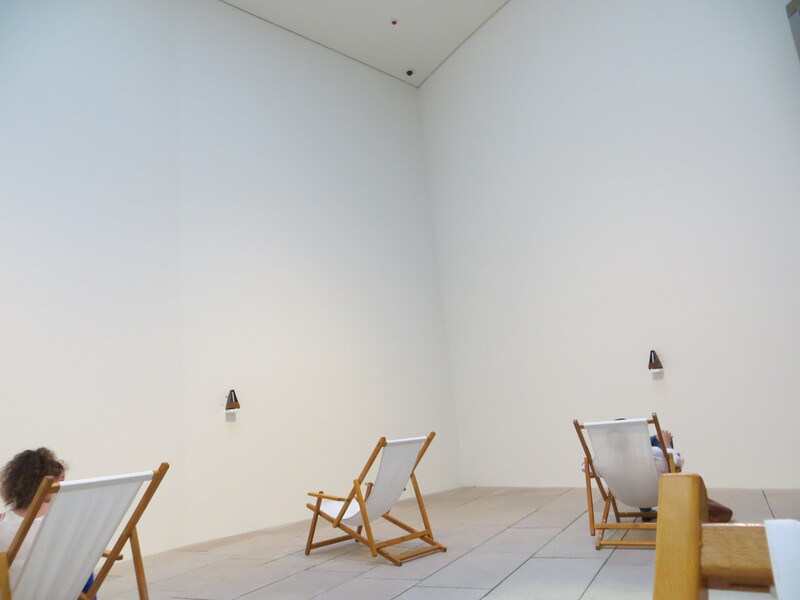 This particular exhibit (below)–sitting in chairs and listening to metronomes set at difference cadences–had me totally mesmerized. I lost track of time. I almost reached a state of nirvana. 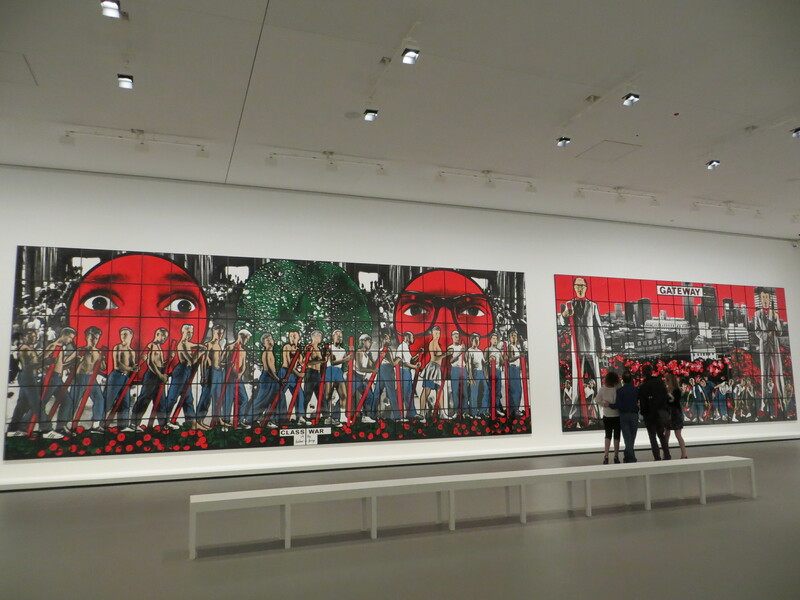 I wasn’t allowed to take photos in the exhibit, but putting down the camera helped me be truly immersed in the art. 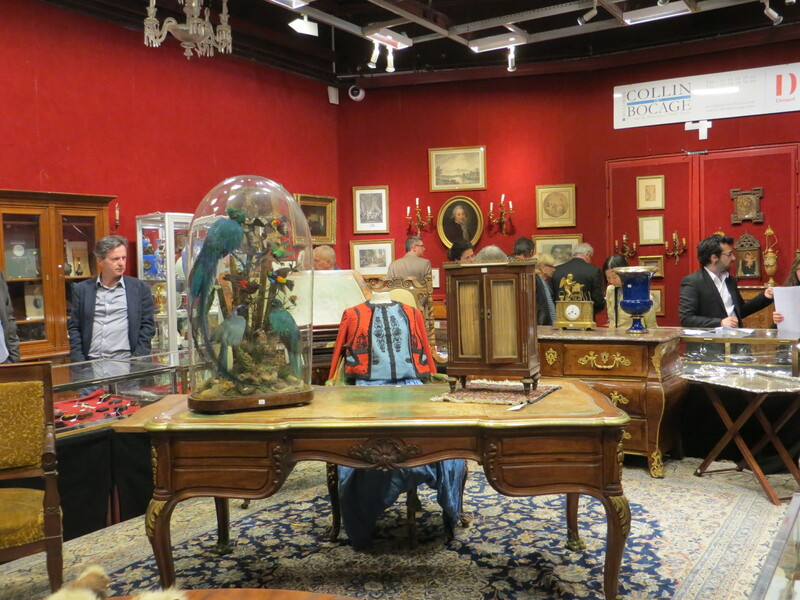 Another place I visited was the Drouot Auction House located in the center of Paris. Run since 1852, this auction house has sold some of the greatest works of art in its time. 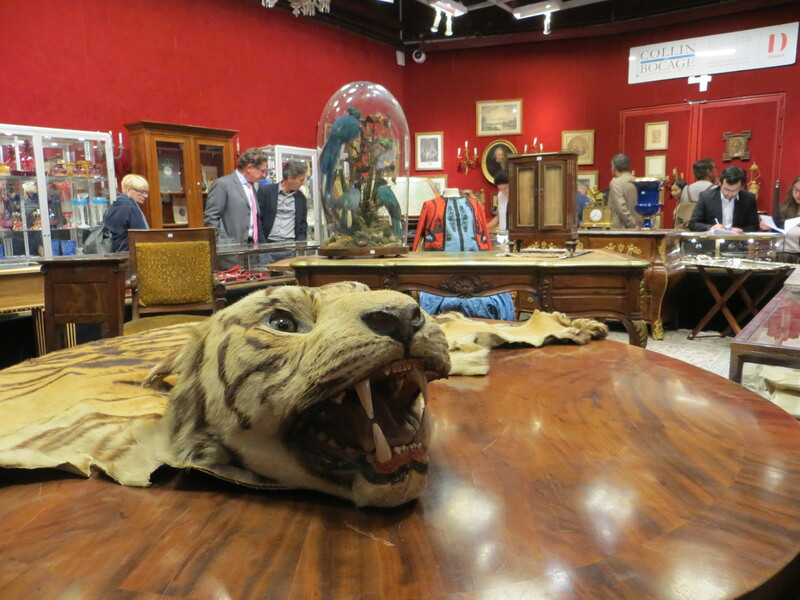 There were two estates up for auction when I visited, boasting taxidermied animals and incredible jewelry. A lot of tourists don’t know that Drouot is open to the public–no charge. 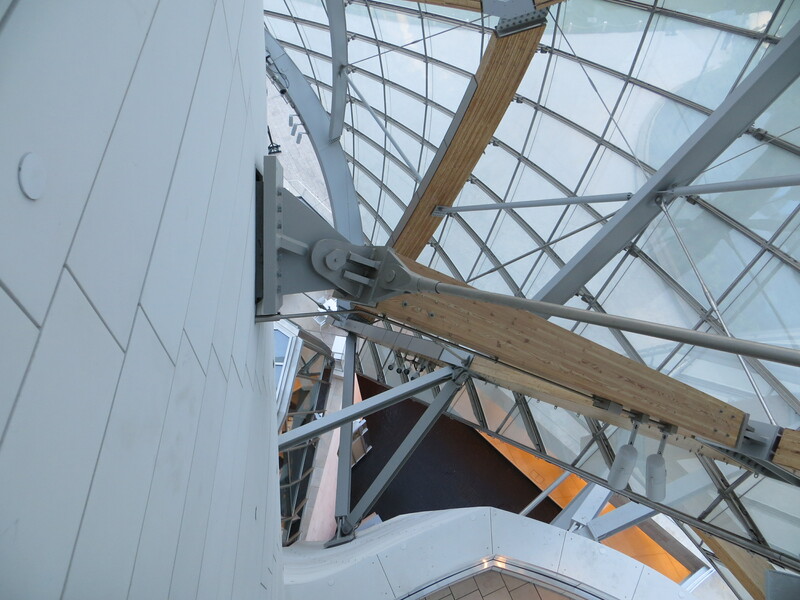 On the first two floors, one can glimpse at what will be sold the next day in a museum-style exhibition and in the basement one can watch a live auction in progress. It is exhilarating! If you want to make a day of it, check out Drouot’s calendar to see what auctions are happening when–and visit the sleek auction house bar to pretend like you’re celebrating buying a Picasso. Finally, I visited the Museé Marmotton Monet, located on the edge of the Bois de Bolougne. Another quiet museum often overlooked by tourists, Marmotton boasts the largest collection of Monet works in the world–thanks to Monet’s son who left the artist’s personal collection to the museum. You will also find works from Edgar Degas, Paul Gaugin and Pierre-Auguste Renoir. 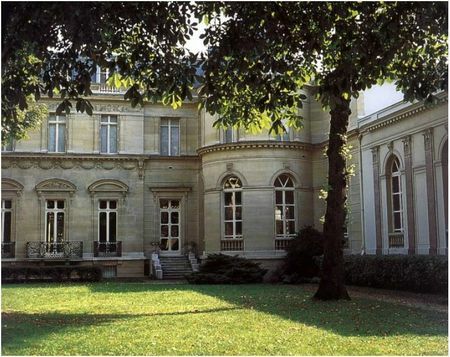 The museum itself is housed in an incredible home built in the mid-1800s by the Duke de Valmy. I wasn’t allowed to take photos in the museum itself (I snuck one! 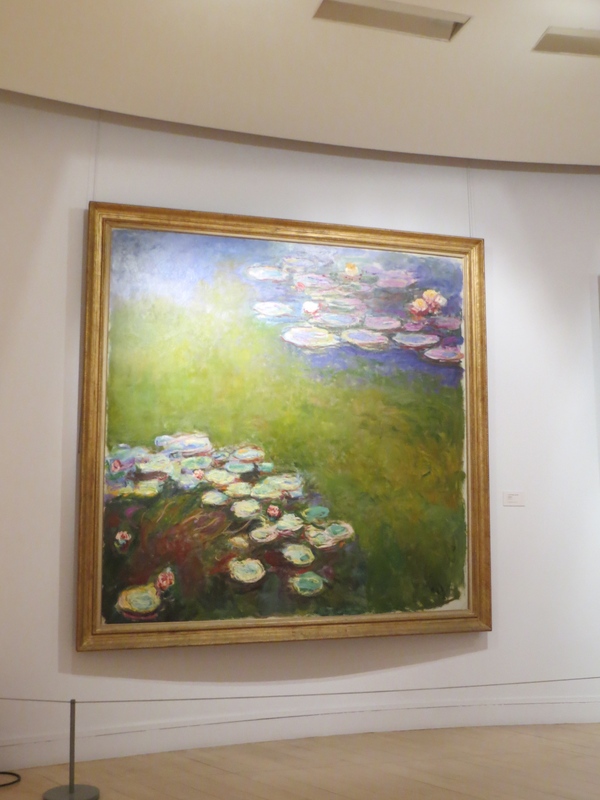 ), but the entire basement is filled with Monet’s works–many from his Water Lillies Collection. The museum also includes Monet’s “Impression, Sunrise” for which the entire Impressionist art movement was named. I snuck a quick snap (no flash) of my favorite of the Lillies series. My advice: Do your research and visit museums that interest you–there is something for everyone. For example, I went on the sewer tour as a child (loved it!) and visited the catacombs as a teenager. Try to visit museums on off-days (Mondays, Tuesdays) and at off-times (mornings and dinner time). If you can buy tickets online in advance–do it! I absolutely loved Musee Rodin! Was a nice change from the standard ‘look at paintings on the wall’. Totally! And I could sit in the Rodin garden for hours–so lush and serene. Great article. Makes me want to book a flight to Paris.